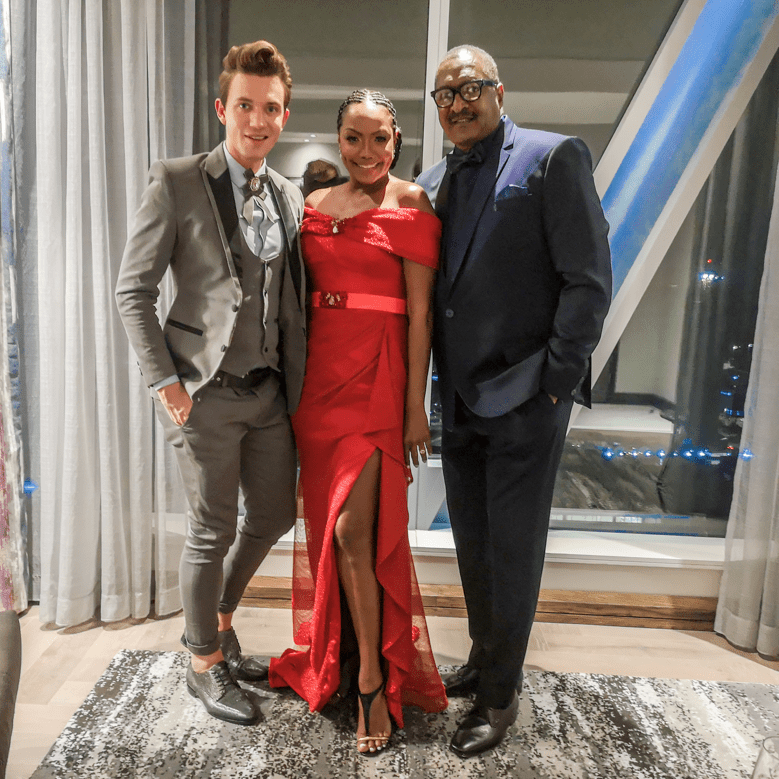 A fortuitous meeting during the busy red-carpet season ahead of South African Fashion Week saw premier South African fashion designer Gert-Johan Coetzee create bespoke looks for Dr. Mathew Knowles and his wife Gena Knowles to wow the media at three separate events in a week. The couple was in South Africa to promote Knowles’s new book The Emancipation of Slaves Through Music. 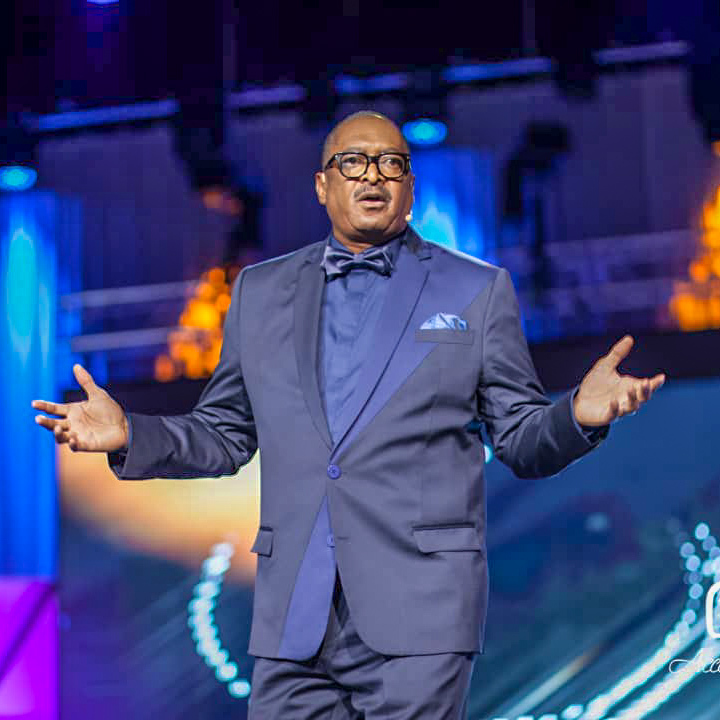 The influential music mogul, who is also Beyoncé’s father, hosted the African Leaders 4 Change Awards in the capital city of Pretoria last Thursday and was a guest judge on the music talent show Idols, South Africa. In between, he also managed to address the University of Cape Town’s Graduate School of Business and finally, attend the glamorous opening party for South African Fashion Week. “My wife Gena and I will be wearing some surprise designs by Gert, one of your top designers here in South Africa,” Knowles said in an Instagram video (@gertjohancoetzee) before the SA Fashion Week red carpet on Monday. The couple had asked Coetzee for some African-inspired styles, and the designer pulled out all the stops, creating a matching suit and gown in shades of magenta, green and brown, with embellished leaf detail that grabbed media attention for all the right reasons. It was pure Afro-chic, the Gert-Johan Coetzee way. Celebrity favorite Coetzee, who is known as South Africa’s designer to the stars, made his name dressing South Africa’s A-list, from Miss Universe Demi-Leigh Nel Peters to Minnie Dlamini and Bonang Matheba, over a ten-year career. He has also extended his reach into Africa, with celebrity clients such as Tiwa Savage and Toke Makinwa, and has dressed international megastars such as Grammy winner Fantasia, Kelly Rowland, and Kourtney Kardashian. Coetzee is coincidentally launching his new men’s range this week at SA Fashion Week, alongside ready-to-wear womenswear and the red-carpet showstoppers that he is famous for. 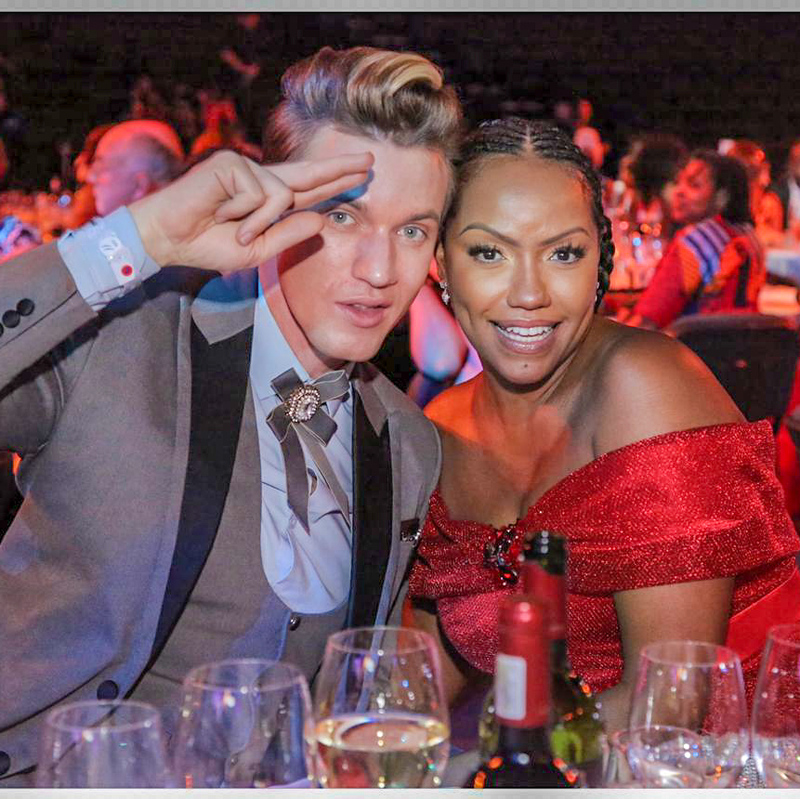 “Menswear requires a totally different focus, so it was great timing because we now have that infrastructure in place.” He dressed Knowles in a two-tone navy and French navy suit with matching Gert-Johan Coetzee shirt and bowtie for his hosting engagement. Gena Knowles sparkled in a form-fitting off-the-shoulder floor-length scarlet gown studded with Swarovski crystals and with a high slit. “As aspect that I love about my job is how a gown can accentuate the wearer’s best features, such as great legs or toned arms. I really enjoyed working with Gena to create a dress she felt great in,” said Coetzee. For his guest-judge duties on Idols, South Africa on Sunday Knowles appeared on stage in another, moss-green Gert-Johan Coetzee suit with a casual open-neck shirt. This might well be the start of a relationship full of potential, but Coetzee would not be drawn on details. “It was such an honor to be asked to dress the Knowleses, and we had a wonderful time getting to know them,” he said. Coetzee’s new Autumn Winter 2019 collection will be showcased at SA Fashion Week on Thursday 25 October at 20:00, and fans can watch live updates on Instagram, @gertjohancoetzee.